The museum also acknowledges the significant contribution of Mrs. Halima Boodhoo (widow of Dr. Isaiah James Boodhoo) in the establishment of the Dr. Isaiah James Boodhoo Art Gallery. 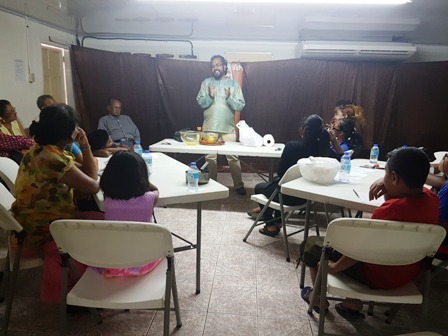 The Indian Caribbean Museum of Trinidad and Tobago celebrated their 11th Anniversary on Sunday 7th May 2017 with a workshop showcasing some of our East Indian Traditions. The Honorable General Dr. V.K. 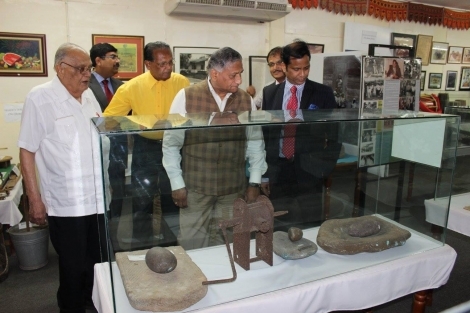 Singh, Minister of State, Ministry of External Affairs, India, Shri Ashok Das, JS (LAC), visit to the Museum, 27th April 2017. Photos taken by the High Commission of India,Trinidad and Tobago. Theme: Dhanyavaad. Ceremony held at the Lakshmi Girls' Hindu College Auditorium, St Augustine on Saturday 7th May 2016.